Source: John McDonnell– I received this book in exchange for an honest review. I received no compensation. More scary stories from a master of psychological horror. This collection has a giant, a time traveler, a bad babysitter, a man who’s looking for the fountain of youth, and a bunch of other characters who get the surprise of their lives. You’ll see just about all of the Seven Deadly Sins here, and plenty of punishment for the unfortunate sinners. 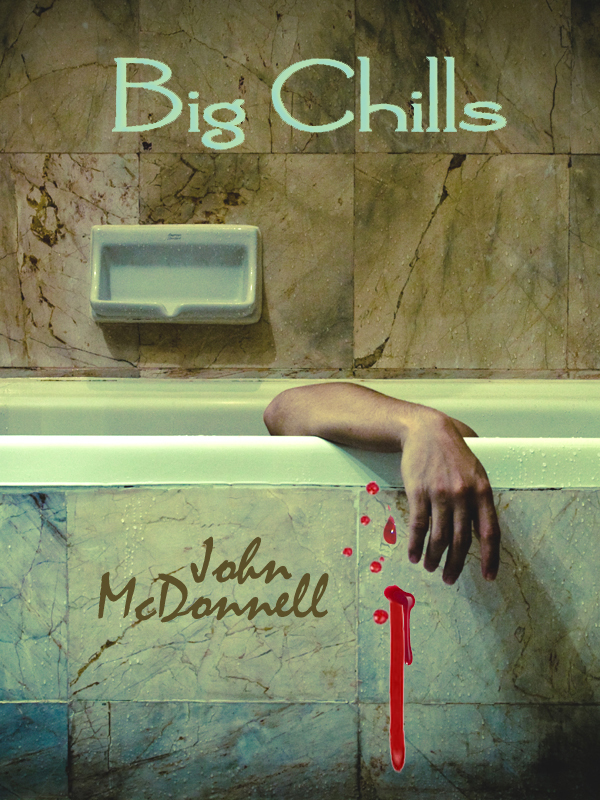 With a style that combines horror and humor, John McDonnell has built an audience of readers who like chills, thrills, and a laugh or two along the way. The horror builds to a climax, and there’s always a surprise ending. These stories will expand your mind and squeeze your airways as you gasp in fear. Not recommended for the faint of heart! I want to thank Mr. McDonnell for providing me with this book for free. I am not unfamiliar with the horror/thriller genre, however I am new to the flash fiction genre. So this is somewhat new to me, and i’m without and real points of reference on this. So I’m going completely by what I felt while reading this. This is a relatively short ebook filled with nine short stories. I felt that while they all had an interesting aspect to them some of them weren’t quite ‘thrilling’ to me. I’m not saying that those particular stories were bad because they are pretty good, what I am saying is that when I see something with the word ‘Chill’ in the title I’m expecting something that will get to me. It doesn’t have to scare me or make me shudder, but I do expect it to at least make me stop for a moment at the end and shake my head. They do all manage to trip you up and make sure your initial guess will probably be wrong, which I really liked. My favorite stories were probably Beautiful Hands and The New Boy, probably because they had more of a horror effect to them. This collection reminds me of those stories you learn as a kid to try and scare your friends when you have a sleepover or camp out. In fact I’m sure some of these would be perfect for that. Some of the content keeps me from recommending this to younger readers but I’d say that from about 16 up would be perfect. This entry was posted in Book Reviews (2011) and tagged 3 stars, horror, review, short story. Bookmark the permalink.